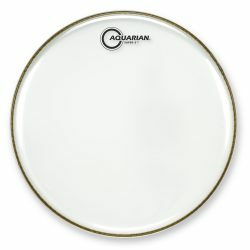 The Aquarian Super 2 Clear is a versatile and responsive 2-ply drumhead, with a moderately bright attack and a nice amount of mid and low-end sustain. This drumhead is great on toms. 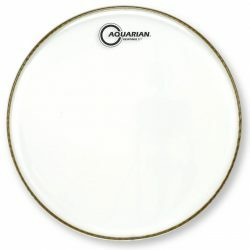 The Aquarian Super 2 Clear is a 2-ply drumhead, made with one 7mil and one 5mil clear ply of film. 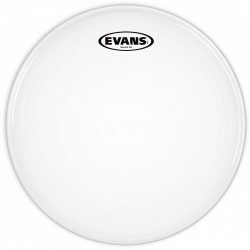 This is slightly thinner than “standard” 2-ply drumheads (like the Remo Emperor, Evans G2, or Aquarian Response 2), which are made with two 7mil plies. 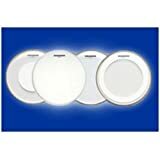 The slightly thinner design gives you more sustain and responsiveness, while keeping the durability and added focus that 2-ply heads are known for. 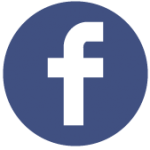 Overtones won’t get out of control, and the overall sound is well balanced. 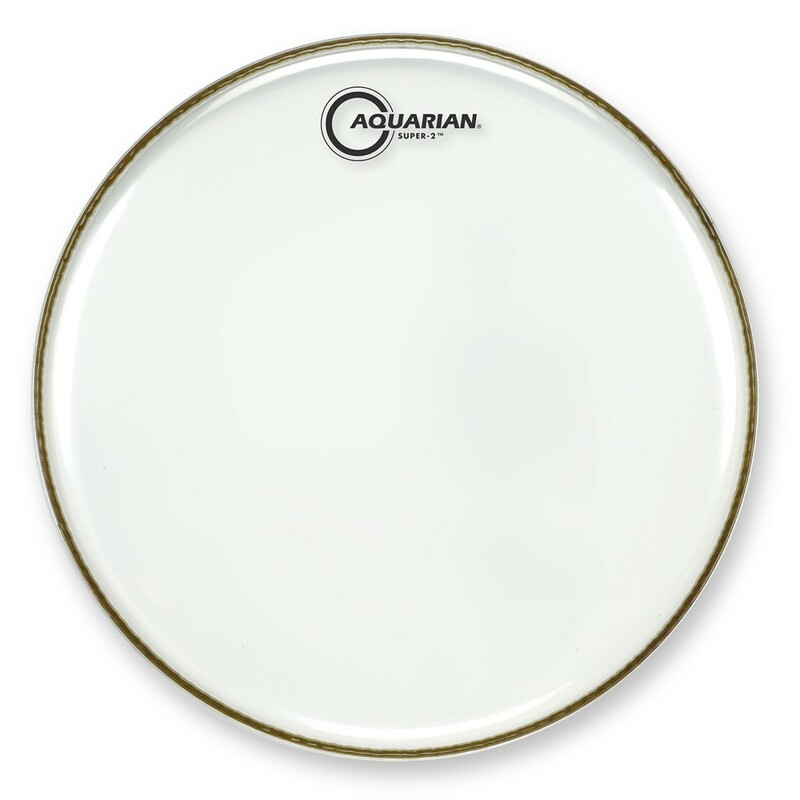 Aquarian Super 2 Clear drumheads give a strong balanced-bright attack, followed by a nice mid and low-end sustain. 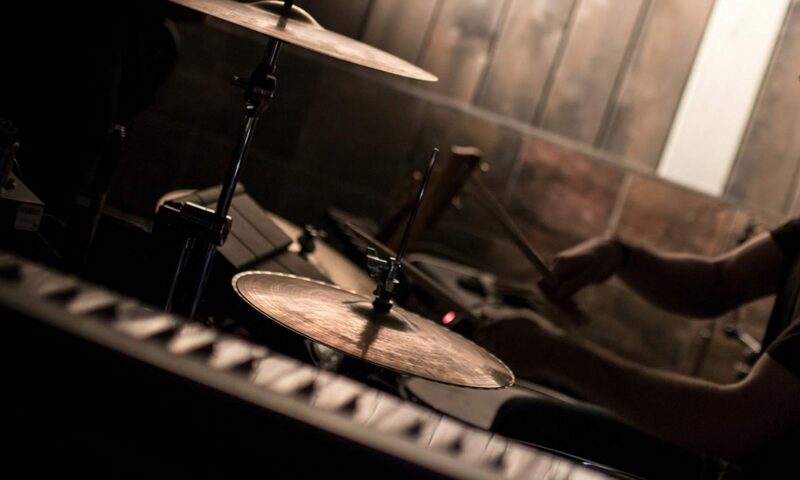 This sound is great on toms, and is also usable on snare drums if you don’t play with brushes. 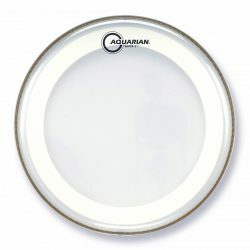 Aquarian Super 2 drumheads are great for all volumes of playing – they will respond quite well at lower and moderate volumes, but will also give enough projection to handle louder situations. 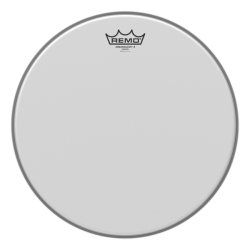 These heads are more durable than 1-ply drumheads, meaning they can handle some heavier hitting. Note that if you play very quiet styles of music however, these may not be sensitive enough for the job. 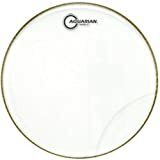 These drumheads are perfect if you want your drums to resonate, but want to avoid the excessive overtones, lower durability, and reduced projection of 1-ply drumheads. Aquarian Super 2 Clear heads are good live drumheads, especially at medium-high volume levels. The good attack, moderately open tone, and balanced sound will give you a great drum sound. 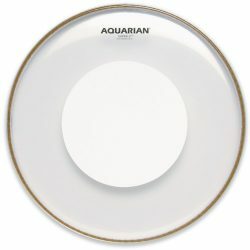 Tip: if you use brushes, or want something slightly warmer sounding, take a look at the Coated Aquarian Super 2.